America’s premier luxury livery sedan. 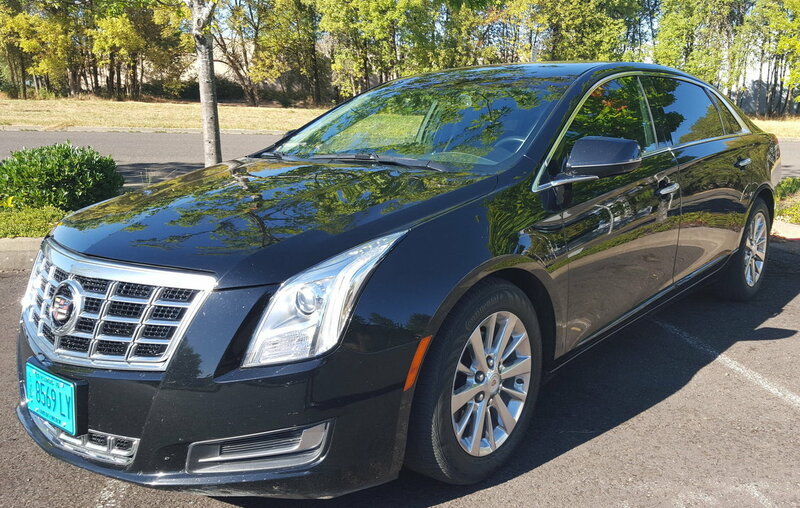 Our 2015 Cadillac XTS-L sedan is an industry leading Lehmann-Peterson stretch model with lots of extra rear leg room for your comfort. Perfect for airport transfers, corporate car service, or Oregon wine tours. Quiet and comfortable, this limo stands alone in premium luxury sedan service. Non smoking $99 for a single hour, $65 per hour for 2 hours or more (plus tip and fuel surcharge). Eugene Airport ground transportation rates are $65 plus tip and fuel for local airport drop offs, and $75 plus tip and fuel for Eugene Airport pick ups. These prices include all all Eugene Airport ground transportation fees. Portland Airport/Eugene transfers are $250 plus tip and fuel for drop offs, and $275 plus tip and fuel for Portland airport pick ups. These prices include all Portland Airport ground transportation fees.